Atlantis Brass Power Shield – Orocrea Jewerly s.n.c. A pentacle to protect you and to increase synchronicity. It helps attracting synchronous evolutionary events for who owns it. It helps entering into contact with energetically active places. 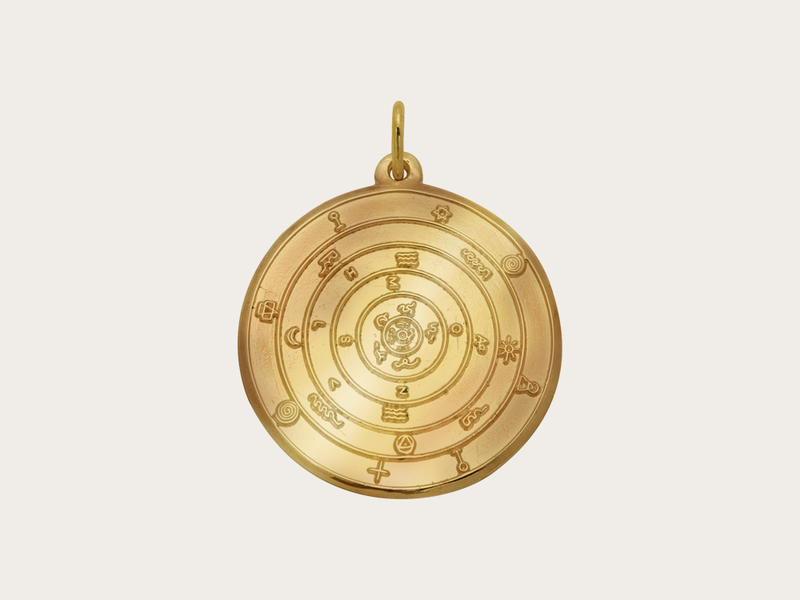 It protects the owner against any kind of negative energy when traveling out of the body or during experiences of channeling and median sessions. It has to be worn in contact with the aura, and it is activated on your personal frequency.